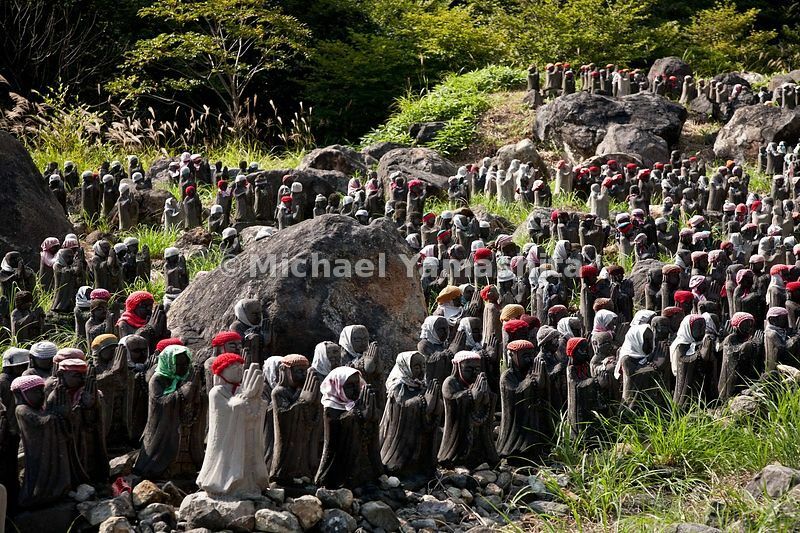 MichaelYamashita | hundreds of statues of babies in hats and scarves called Jizo -.a buddhist shrine near a hot spring where Basho visited telling.of insects were killed by the smell from the nearby sulphur hot.spring. This shrine is dedicated to children. 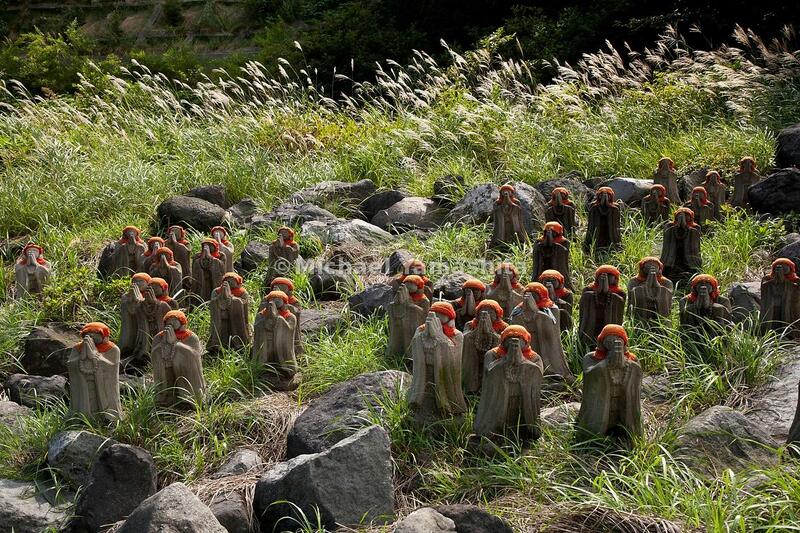 hundreds of statues of babies in hats and scarves called Jizo -.a buddhist shrine near a hot spring where Basho visited telling.of insects were killed by the smell from the nearby sulphur hot.spring. This shrine is dedicated to children.